Small envelopes with great designs. 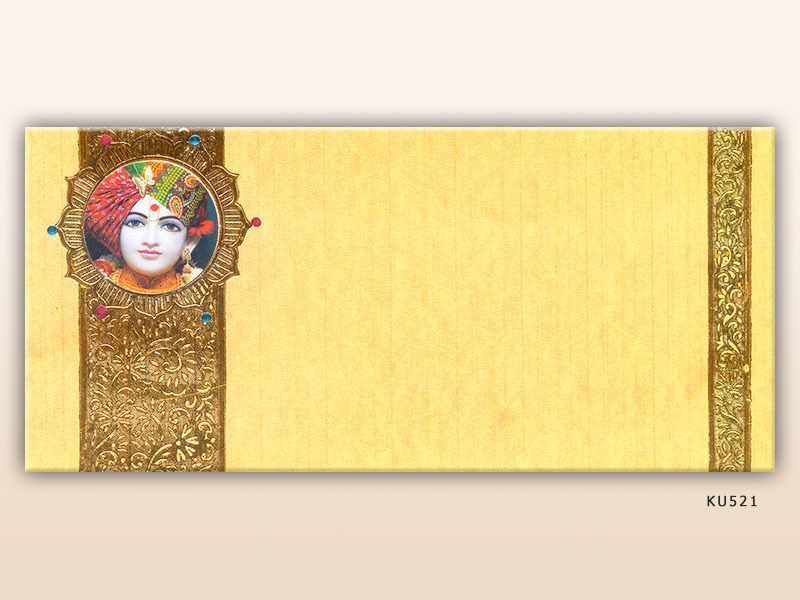 The envelopes are suitable for sending letters, invites and for gift tokens at auspicious occasions like weddings. Each envelope has a photograph of Bhagwan Swaminarayan’s murti or Pramukh Swami Maharaj. Available in three colors: golden, white and pink.